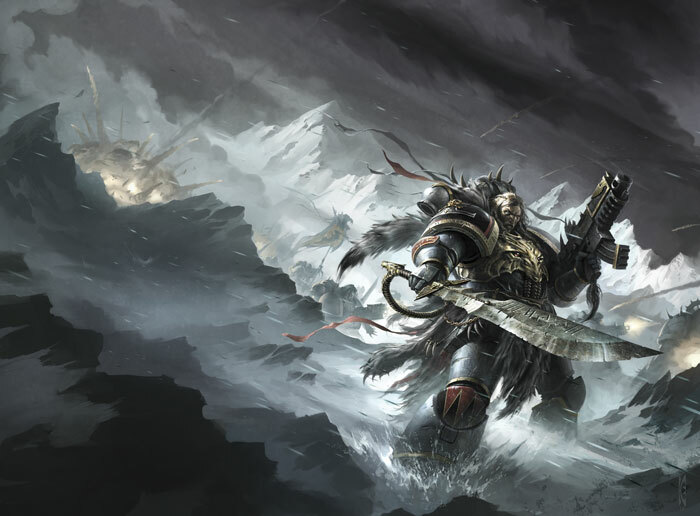 It’s been a wee while since I’ve had the pleasure of chatting with a Black Library author so who better to interview than the author of the awesome Battle of the Fang and the upcoming Brotherhood of the Storm. Of course I refer to none other than Oxfordshire chap, Chris Wraight. TSC: Chris thanks for taking the time to speak to me, I know how busy you must be with the White Scars novel. Now, you had the great fortune and great challenge of writing the utterly awesome Battle of the Fang which came out shortly after Dan Abnett’s revolutionary Propsero Burns. 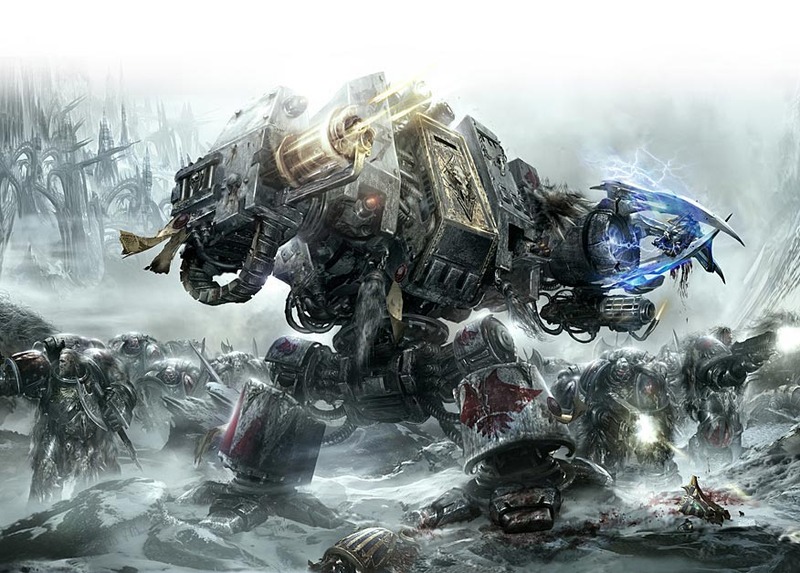 What was it like working on a Space Wolves novel with the background so recently redefined? CW: It was both fun and frightening, as you’d imagine. The Space Wolves were ripe for a reboot, and the work Dan did on Prospero Burns was incredible. I was already writing Fang while Dan’s book was going through production, and only saw a copy halfway through the first draft. Encouragingly, the direction I’d taken was similar in some respects, though nothing like as deep and imaginative as Dan’s treatment. A rewrite followed, in which I tried to keep some level of continuity going. I hope the results make some sense. TSC: I think so. Although you wouldn’t want it to be identical as you’re broadening the lore further. You’ve also written novels about Kurt Helborg and Ludwig von Schwarzhelm, two of my favourite and most iconic characters in Warhammer and the Empire. What considerations did you have to make when writing about such an important part of the canon? CW: I wanted them to be different in character but equal in interest. It’s a classic theme: brothers-in-arms at war with one another as much as the enemy. In terms of the canon, there was very little actually written down about either of them, so I felt quite free to come up with my own ideas (in contrast to, say, Bjorn or Magnus). I’m glad that people seem to have liked what I did with them. The omnibus edition of their exploits, Swords of the Emperor, has just come out, which is a first for me and something I’m very proud of. TSC: I’ve got the separate books but I have to admit the anthology looks beautifully put together. Jumping back into the 41st Millennium, your second Space Wolves novel is out in March entitled Blood of Asaheim. What can you tell us about it? CW: Blood of Asaheim is the first in what I hope will become a new Space Wolves series. In terms of its tone and theme, it’s more like my e-short Kraken than Battle of the Fang. The Imperium is a very different place in the 41st Millennium than the 32nd, and the Wolves are a darker, more compromised breed. The story follows a single pack of Grey Hunters of Ragnar Blackmane’s Great Company. Having written a big set-piece battle narrative with the Wolves in Fang, I wanted to delve into the detailed mechanics and characters of the warriors fighting the Long War. I’ve aimed to make it an immersive, sombre look at the Sons of Russ in the gathering darkness of the Imperium. TSC: Sounds awesome. Your audio drama, The Sigillite is out in the new year and further fleshes out one of the most pivotal and enigmatic characters of the 40k universe. What was it like writing for such an important character? CW: Just great. I love the character of Malcador, and think there’s a lot to be written about with him. He’s enigmatic – and that needs to be preserved – but there’s also scope to uncover so much about the Emperor’s plans for humanity by looking at his role. He’s the ‘human’ face of the Imperium; not a Primarch, not a Space Marine, not a living god. Set against all of them he’s so weak, and yet, in more subtle ways, so unbreakably strong. TSC: Not to mention the fact that his humanity keeps the Emperor grounded and guides him in the matters of mortal men. And, you know, founded the Grey Knights. Sort of. So, 0n top of the Sons of Fenris and the Children of Sigmar you’ve also written about the Iron Hands, specifically in the exceptionally well received Wrath of Iron. What drew you to such a culturally complex chapter? CW: The Iron Hands were a bit of a departure. I’d written the short story Flesh, and was asked whether I’d like to write a Space Marine Battles book with them in. I love the core idea of the Hands, though they’re not a very attractive Chapter in psychological terms. They’re about the darkest of the Loyalist Chapters, showing how in 40K the boundaries are blurred between ‘good guys’ and ‘bad guys’. After all, who would you rather have a drink with: Ferrus Manus or Ahriman? TSC: Fair comment. Beyond the work you’re doing for the new year, what can you tell us about any other projects you’re working on? CW: Aside from more Space Wolves and White Scars at some point, I’m really looking forward to returning to the Old World with the Time of Legends title Master of Dragons. This will be Book II of the War of Vengeance series, which kicks off with Nick Kyme’s fantastic The Great Betrayal. I’m really stoked for this at the moment, and bursting with ideas for it. The central character will be Imladrik, one of the great heroes of the conflict. Plans are at an early stage on this one, but expect to see a truly epic tale of bloodshed, tragedy, forbidden love, vengeance – and, of course, armies of dragons turning the sky dark. TSC: Sounds epic. I interviewed Nick a while back when he was still working on The Great Betrayal so it’s great to see the story progressing. Writing licensed fiction is a great way of indulging in all your favourite IPs in a very personal way. What IPs would you love to work on in the future? CW: I don’t have any plans to work on non-GW IPs in the near future, mostly because my schedule is full of BL stuff I’m dying to get started on. TSC: Understandable. Plus there’s no shortage of material to write about. Being an established Black Library author you’ve no doubt been invited to cool planning meetings with Dan Abnett, Graham McNeill et al. What was the moment when you suddenly realised that you were a part of the very exclusive and very awesome club that is the Black Library authors? CW: I still see myself as one of the newbies, but I guess I’m going to have to stop that soon. Next to guys like Dan and Graham it’s easy to feel very green, but the list of books with my name on it gets a little longer every year. It was a great experience being invited to my first Heresy meeting, something I hope happens again at some point. In the meantime, it’s a privilege being involved with the franchise. All the guys, new and old, are just a very nice bunch of people. TSC: I won’t ask who your favourite is. As a treat to the readers, what little tid bit can you give us about the next phase in the Horus Heresy series? CW: They’d have my eyes if I spilled the beans. Let me tell you what I’m most looking forward to discovering: what Guilliman’s up to, what the Emperor has been doing since Magnus interrupted him, and (of course) the Khan’s role getting fleshed out. TSC: You wicked tease. Next time I’m in Oxford I shall have to get you outrageously drunk and get it out of you. 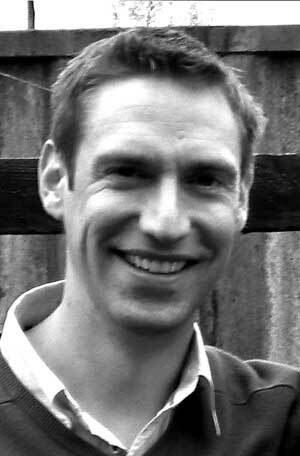 And finally, Chris, what advice could you give budding writers out there? CW: 1. Take criticism on the chin. 2. Think hard about how the stories you like work. 3. It’s the characters, stupid. TSC: Thanks again Chris, it’s been a pleasure. Good luck with the Brotherhood of the Storm and all the other projects. Keep up the outstanding work.